“Organic” refers to the way agricultural products are grown and processed. Specific requirements must be met and maintained in order for products to be labeled as “organic”. Organic foods provide a variety of benefits. Some studies show that organic foods have more beneficial nutrients, such as antioxidants, According to most health experts, consuming fruits and vegetables with a small amount of pesticides poses a very small health risk. Also, large-scale studies suggest the residues are not likely to be an important risk factor for cancer, especially because of the known health benefits of consuming fruits and vegetables, regardless of how they are grown. Organic crops must be grown in safe soil, have no modifications, and must remain separate from conventional products. Farmers are not allowed to use synthetic pesticides, bioengineered genes (GMOs), petroleum-based fertilizers, and sewage sludge-based fertilizers. Organic food is often fresher. Fresh food tastes better. Organic food is usually fresher when eaten because it doesn’t contain preservatives that make it last longer. Organic produce is often (but not always, so watch where it is from) produced on smaller farms near where it is sold. -100% Organic means all ingredients (except water and salt) and foods are completely organic and GMO-free. -Certified Organic or USDA Certified Organic means 95% of the ingredients are organic and usually GMO-free. -Made with Organic means up to (did you catch that? “up to”) 70% of the ingredients are organic and not usually GMO-free. This entry was posted in "What is" Series, Organic and tagged organic, what is on April 27, 2015 by Christine. Olive oil is not only flavorful, but good for you. This oil is rich in monounsaturated fats, which are known to reduce bad cholesterol (LDL) and increase the healthy kind of cholesterol (HDL). To increase this benefit, high-polyphenol virgin olive oil has been found to have an even greater benefit than regular olive oil. Hemp oil contains all of the essential amino acids and essential fatty acids that a human body needs. It has a 3:1 ratio of omega-6 to omeg-3, a balance shown to be ideal for the cardiovascular system. It also contains fatty acids that are known to be crucial for brain and optical health. In fact, pregnant women are encouraged to include hemp oil in their diets to aid in the development of their growing infant. Hemp oil is also good for mood regulation and immune system health, as well as intestinal health. Topically, hemp oil is easily absorbed into the skin and excellent for moisturizing poor skin conditions or as a base for healing blends, treating psoriasis, eczema, itchiness, and irritated skin. This tasty oil is especially rich in alpha-carotene, beta-carotene and lutein absorption. It is found to lower cholesterol, and to be good for your kidneys by improving kidney function through the way the way kidneys respond to hormones. When blended with Vitamin B12, it has also been found to be an excellent topical treatment for psoriasis. Apricot oil has a sweet, nutty aroma. As a food, it is high in oleic acid and linoleic acid. It is often used in recipes interchangeably with almond oil. However, apricot oil is primarily a topical. It is commonly used in cosmetics, creams, soaps, lotions, and others. It is also frequently used in massage, as it is easily absorbed into the skin and does not leave a greasy residue. It is also one of the gentlest topical oils, which makes it suitable for use in children, elderly patients, and those with sensitive skin. – As a topical hair treatment and can nourish weak, brittle, and damaged hair. The benefits of coconut oil include helping the body to fight off disease and increase proper thyroid function. A study in 2009 found that women who consumed coconut oil saw a reduction in abdominal fat, due to the type of medium chain triglycerides that it contains. Coconut oil is also rich in antioxidants. As a final note, research has also discovered that the commercial processing of homogenizing, which began as a way of lengthening the shelf life of the product, actually changed the properties of oil into saturated fats during the process. As 7-time Nobel Prize nominee Dr. Johana Budwig put it, this removes many of the healthful benefits of the oil and makes it behave more like “tar” in the body. Cold pressing is the most widely available positive processing that is accepted as a good way of preserving an oil’s natural properties. Always look for oils that are non-homogenized. This entry was posted in "What is" Series, Organic and tagged healthy, nongmo, organic, superoil superfood on April 21, 2015 by Christine. What exactly is a “superfood”? A superfood is simply a superior food, one that has especially high benefits when eaten, particularly in comparison with others of its kind. So what superfoods should you be eating? Lucky for us, many of these foods are easy to find! Chia Seeds are considered to be a treasure for health. Chia seeds are very rich in Omega-3 fatty acids and can be stored for long periods without deteriorating because they don’t need to be ground to release their health benefits. They are rich in vitamins A, B, E, and D and are an excellent source of protein. They are also vitamin rich and carry zinc, thiamine, silicon, sodium, niacin, iron, calcium, phosphorous, and magnesium and are a great source of fiber. The seeds have 6 times the calcium found in milk, 6 times the protein found in kidney beans, and 3 times the iron found in spinach. – Add to baked goods as an egg substitute or grind a few pinches into your flour. Kale is a strain of wild cabbage and is one of the most powerful green leafy vegetables that you can eat. Kale contains all 9 of the essential amino acids that are needed to form protein in the body and has a 3 to 1 carbohydrate to protein ratio. This is very welcome news to vegetarians! Kale is considered easy to digest and is very low in calories and has a higher rate of omega 3 than omega 6 fatty acids, an unusual occurrence in nature. Kale is rich in vitamins A and C, as well as calcium, manganese, copper, and potassium. Walnuts contain the most antioxidants of any type of nut, which helps to stave off premature aging, cancer, and heart disease. They are also the richest nuts in omega-3 fatty acids, and are a great substitute if you don’t like to eat fish. Walnuts contain manganese, and vitamins E, C, B, and A. Easy to find and a delight to go gather for yourself! Blackberries top the chart due to beating the competition by having an overall nutritional levels that beats out other fruits. They have the highest vitamin K of all berries and are very high in antioxidants. Blackberries have a high omega-3 count and are high in fiber. They are rich in potassium, and vitamins A, B, C, and E. Blackberries are rumored to have qualities that help with coordination, balance, and cognitive function, due to polyphenols. Blackberries also have properties that can help aid in digestion. -A handful for a snack. – Sprinkled onto yogurt or salad. Coconut oil is touted to be useful for almost anything. It has immune boosting properties, controls blood sugar levels, boosts energy, and is rumored to help lower the instance of abdominal fat. Coconut oil is rich in antioxidants that help prevent illness, viruses, and bacteria. It can also boost thyroid function and blood sugar control. Coconut oil is loaded with healthy types of saturated fats (medium chain triglycerides) that raise good cholesterol and change bad cholesterol to a benign subtype. Because of the medium chain fatty acids, the body processes coconut oil differently than other fats and oils. They go straight to the liver, where they are used for energy or turned into ketone bodies, which are known to improve the condition of brain disorders. Coconut oil also reduces triglycerides and improves blood coagulation. One final thing that is important to remember when choosing superfoods is that your end goal might vary what is best for you as an individual. For example, foods that are the richest in nutrition might also be higher in calories than alternatives, so it is important that you understand your health goals when making a dietary plan for yourself. Our list is one that reflects overall well-being and health. Happy eating! This entry was posted in "What is" Series, Gluten-Free, Organic and tagged antioxidant, blackberry, boost immune system, chia, coconut oil, fight free radical, immunity, kale, superfood, walnut on April 17, 2015 by Christine. Meat substitutes are nothing new in the world of vegan and healthy eating. There are many options to explore for the health conscious gourmet palette, but one of the newest alternatives on the scene, pea protein, is getting a lot of attention. Why is pea protein such a rising star? For several reasons! The first is that meat alternatives made with pea protein can be made with a different texture that solves the age-old dilemma of meat substitutes – it doesn’t feel like mush or rubbery. Instead, it has the texture that most people miss when they switch from animal products. Pea protein is comparable to whey, with soy at a mediocre second. However, unlike the other two, pea protein is very easy on your body to digest and allergies to it are rare. While some people are skeptical about eating pea protein for the first time due the fact that peas are a legume, you can rest assured that pea protein is not known to cause flatulence due to the way it is processed. Veggie meats made with pea protein are also lower in calories than animal-based alternatives by at least 14% to 35%! In addition, pea protein is very, very low in fat and that makes it a perfect substitution for those who are dieting. Pea protein is rich in essential amino acids, something that is ideal for people who are active in sports. It has Lysine and Glutamine, which help to maintain nitrogen levels during a workout. It also contains Arginine, which is great for heart health and is a muscle metabolism stimulant, and also Leucine, Isoleucine, and Valine, which help maintain muscle tissue. Another health benefit of this animal alternative is that it is free of GMOs, Antibiotics, and no growth hormones that are the hallmark of conventionally grown meat. Plus, you can sleep soundly knowing that the little plants that went into your food were kept in a happy, healthy, environment, where they naturally grew big and strong. This is not true of the conventionally grown meat, which is grown in extremely poor, cramped, and unhealthy conditions. Plus, conventional meat farms produce mass quantities of waste material that can be difficult to dispose of. You might be wondering where pea protein comes from and you’ll be relieved to find out that it is not something that is formed in a lab. Have you ever had homemade pea soup from scratch? The dried peas that were used in that soup are powdered to become the exact same base that is used for pea protein to make the meat substitute. If you are quite sold yet, meats made with pea protein have a longer natural shelf life and it’s faster to prepare than conventional meat. This makes it much easier for you to finish those quick dinners on busy days! It’s 100% vegan, 100% natural, and much better for your body, with an authentic texture and a taste that blends naturally into your recipes. This entry was posted in "What is" Series, Gluten-Free, Organic on April 14, 2015 by Christine. Before we can stop and discuss the topic of antioxidants, we should first discuss why we need antioxidants. The answer is that every single individual body can attract free-radicals and they are not what you want to attract! Let’s start with the basics. No one likes the idea of aging or feeling unwell, but free radicals can be the culprit that causes both of these conditions by how they work. Free radicals cause oxidation and interact chemically with other cells that cause breakdown, damage, or alteration of the cell material, which is one of the causes of the signs of aging and even illness. They particularly like the cells of organic material, including our bodies, and exist to attach themselves to this type of material. To make it sound a little less scientific, think of how a sliced apple shrivels and turns brown. This is an example of free radicals in action, working on the cells of the apple. Free radicals are dangerous molecules that can accumulate in your body and cause serious health problems… like cancer. Free radical is the name given to chemicals within the body that contain an unpaired electron. Free radicals are the product of normal chemical reactions during respiration and exercise, and have important functions in the immune system. However, their unpaired electron causes them to be highly reactive, a property which enables them to damage cells and DNA (and tends to give them a bad reputation). The body also uses antioxidants, compounds that make sure there aren’t too many free radicals in the body at once. The balance of free radicals and antioxidants is an important behind-the-scenes health defense mechanism. This entry was posted in "What is" Series and tagged free radicals, what is on April 10, 2015 by Christine. 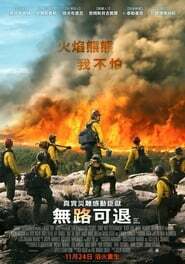 ‘Only the Brave’ is a movie genre Drama, was released in October 19, 2017. Joseph Kosinski was directed this movie and starring by Josh Brolin. This movie tell story about Members of the Granite Mountain Hotshots battle deadly wildfires to save an Arizona town. Di Bonaventura Pictures, Black Label Media, Conde Nast Entertainment. This entry was posted in "What is" Series, Gluten-Free, Organic and tagged ancient, antioxidant, antioxidants, black beans, cancer fighting, chia, corn, Gluten-Free, healthy, kale, nongmo, nutritious, organic, quinoa, superfood on April 7, 2015 by Christine. 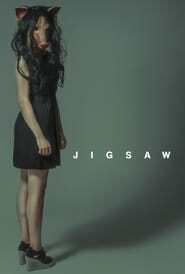 ‘Jigsaw’ is a movie genre Horror, was released in October 20, 2017. Michael Spierig was directed this movie and starring by Laura Vandervoort. This movie tell story about Dead bodies begin to turn up all over the city, each meeting their demise in a variety of grisly ways. All investigations begin to point the finger at deceased killer John Kramer. Twisted Pictures, A Bigger Boat, Serendipity Productions. This entry was posted in "What is" Series and tagged antioxidants, bromelain, digestive enzyme, flavanoid, magnesium, quercetin, supplement, vitamin c on April 2, 2015 by Christine. 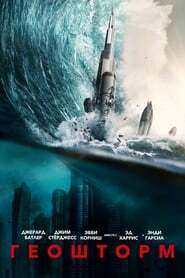 ‘Geostorm’ is a movie genre Thriller, was released in October 13, 2017. Dean Devlin was directed this movie and starring by Gerard Butler. This movie tell story about Gerard Butler playing a stubborn but charming satellite designer who, when the world’s climate-controlling satellites malfunction, has to work together with his estranged brother to save the world from a man-made storm of epic proportions. A trip into space follows, while on Earth a plot to assassinate the president begins to unfold. Dean Devlin, David Ellison, Dana Goldberg. This entry was posted in "What is" Series and tagged grass-fed butter, grassfed butter, healthy fat on March 31, 2015 by Christine.